Whether you’re involved in selling to the government or you interact with the government in another professional capacity, there’s something you should always heed – the law. Legal factors and ramifications are intertwined into much of the work of lobbying and procurement. So in order to provide you with helpful resources and enlightening information, I asked a successful attorney (and friend of mine) to share some applicable wisdom with you all. Kiersten Murphy, partner at Henze Cook Murphy, was kind enough to cover the basics of bid protests within procurement law on my blog today. Typically, a disappointed bidder can challenge an award by filing a formal “protest.” Bid protests challenge the procurement process and the government’s evaluation of competing bids. Specifically, protests often challenge whether a bid was given a fair chance, whether procurement officials followed applicable law and regulations; and/or whether the government incorrectly analyzed the challenger’s (or its competitors’) submissions. Key protest issues include whether the awardee was responsible (financially sound) and responsive (met mandatory requirements); whether there were material mistakes in the process (e.g., not following evaluation criteria); and whether there are legitimate concerns about conflicts or bias among those evaluating responses. Procurement officials have wide discretion in awarding contracts. Thus, bid protests can be an uphill battle for disappointed bidders. Officials also have wide discretion in responding to bid protests, including maintaining the status quo, canceling a contract in its entirety, or overturning an award and either rebidding the contract or awarding it to the protester. Despite that broad discretion in awarding contracts and resolving challenges, a successful protest is possible. And, even losing protests can yield positive outcomes. For example, let’s say the government historically disposed of scoring sheets post-evaluation. 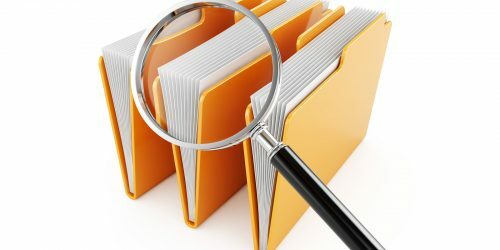 In this scenario, a protester may be able to argue that these documents should be kept in the future to assist the disappointed bidder’s review of the process. Government entities often see protests as opportunities to improve upon existing practices. But, protesters must also be sensitive to their desired customers, and tactfully challenge the process without alienating the people. Protest/appeal procedures are typically set forth in the solicitation and/or procurement statutes and regulations. Disappointed bidders must scrupulously follow the procedures (including strict adherence to rules that prohibit communication with procurement officials) or risk disqualification. A protest is presented by letter, articulating every basis for the protest, either seeking reconsideration by the procurement officer who made the decision, or reversal of the decision by that person’s superior. And the time within which protests must be submitted is extremely compressed. For example, the state requires a comprehensive protest – including all arguments – within ten days of the date the procurement file is made publicly available. It is wise to have experienced legal or professional assistance throughout the procurement process, and certainly at the bid protest stage, where legal issues and strategic considerations must be presented and argued quickly, effectively and efficiently. Kiersten Murphy is an attorney practicing Commercial Litigation & Public Procurement Law at Henze Cook Murphy, PLLC: 4645 North 32nd Street, Suite 150; 602.956.1917; kiersten@henzecookmurphy.com. Disclosure: This article should not be construed as legal advice or relied upon as a substitute for legal counsel.